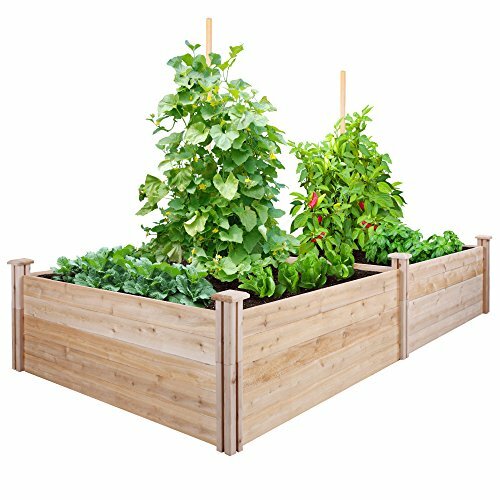 Greenes Fence Cedar Raised Garden Kit 4 Ft. X 8 Ft. X 17.5 In. makes creating a bountiful garden easy. The dovetail joints make frame assembly a breeze: Simply slide the boards by hand into the corner joints for a solid and secure garden frame. Set the frame on any level outdoor space, add soil and plants or seeds, and begin growing the garden you've always dreamed of. Stackable and expandable with other like kits. Stacking 2 of these makes your garden 35 inches tall (each kit sold seperately).